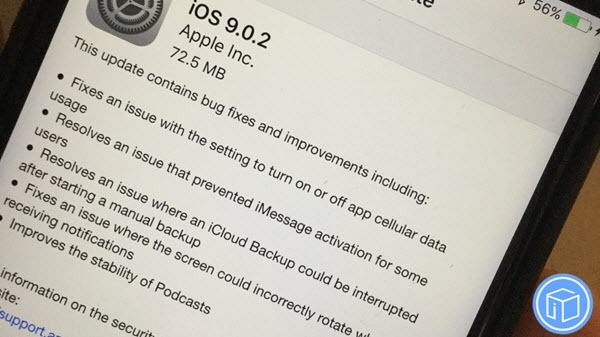 Why should you update to iOS 9.0.2? 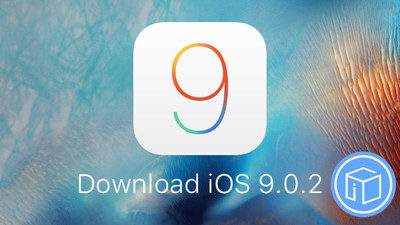 Apple has released iOS 9.0.2 to the public officially on 30th September, which is a minor update to fix bugs and improve performance to iOS 9. The iOS 9.0.2 update comes one week after the release of iOS 9.0.1, the first update to iOS 9, and two weeks after iOS 9 was released to the public on September 16. So will you update to iOS 9.0.2? I think this time, although iOS 9.0.2 is just a minor update, it deserves you to update and install for the bug fixes. What's new in iOS 9.0.2? Today's iOS 9.0.2 update precedes iOS 9.1, which will be the first significant update to iOS 9. iOS 9.1 includes new emoji and an option to disable contact photos in Messages. It also focuses on introducing compatibility for upcoming Apple products like the iPad Pro and the Apple TV. Before update to iOS 9.0.2, bear in mind that you have to do a full-scale backup for your iPhone or iPad just in case of data loss. Once some data are lost during the update process, you sill have the chance to extract and restore lost data from your backup files with iFonebox.